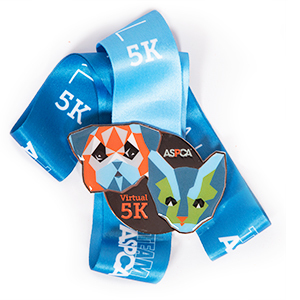 As the proud family of Spike, our Pitbull/Shepard mix and many rescued cats: This Fall, we will be participating in the ASPCA Virtual 5K! We are excited to be participating and honored to be raising the awareness and the much-needed funding to support the ASPCA's programs. Your donation will help the ASPCA provide life-saving programs and services to millions of animals nationwide. The ASPCA is very important to us and we appreciate your help as we fight to give abused and homeless animals a second chance at life. Please, please, please support us by making a donation and help us make a positive impact in the lives of animals! There are so many animals that need help out there and the ASPCA do such a wonderful job getting these animals off the streets, providing food and shelter, educating the public on feral communities and so many, many other services that they REALLY can't do it without all the donations that they receive from kind, animal loving people like us! !